Regular readers will know that we're a one-car household and as Steve uses our car for work, I often resort to using public transport during the school holidays. I am also finding that more often than not, even when Steve is with us we'll catch the bus into Newcastle as it often works out cheaper, we're not restricted by time, we don't have to stress about parking and now the kids are a little bit older we can often have one or two drinks in a bar/pub/restaurant during a family day out too. 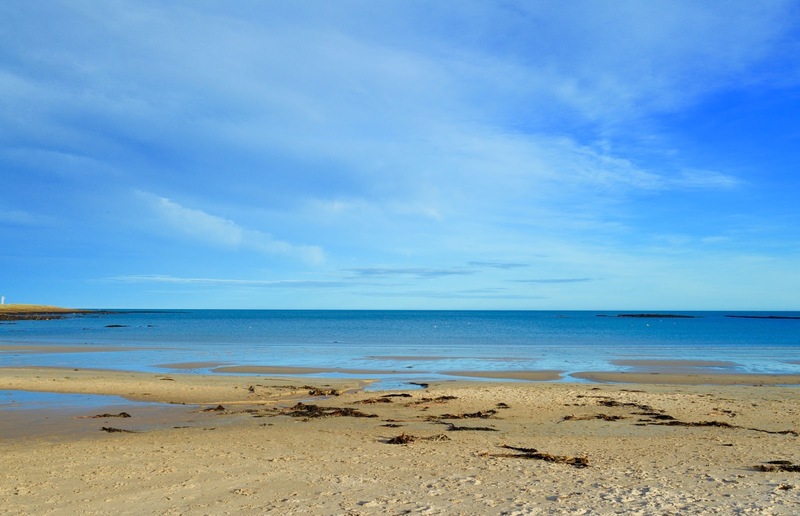 A lot of people are in the same boat as us and I am asked time and time again by readers to feature days out by public transport so today I am doing just that and sharing how you can explore the entire length of the beautiful Northumberland Coastline by bus. 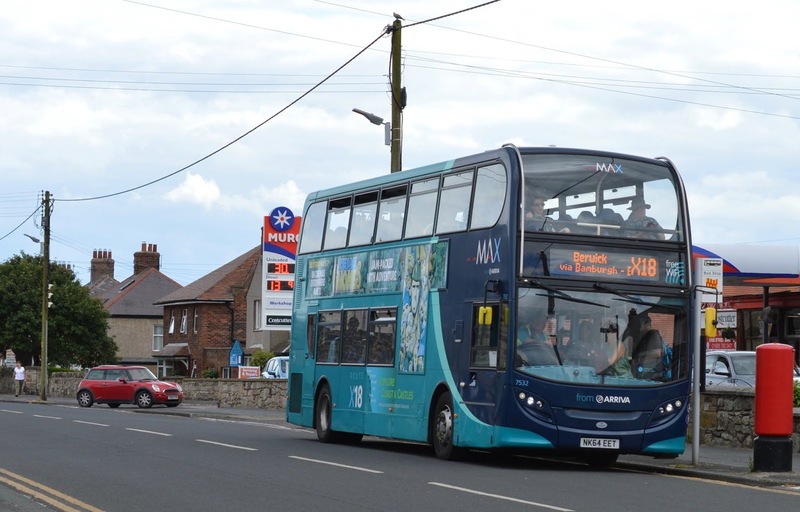 The X18 Arriva North East bus service runs from Newcastle Upon Tyne all the way up to Berwick. We tried out this service last Sunday and were really impressed. You can see a full timetable online here. 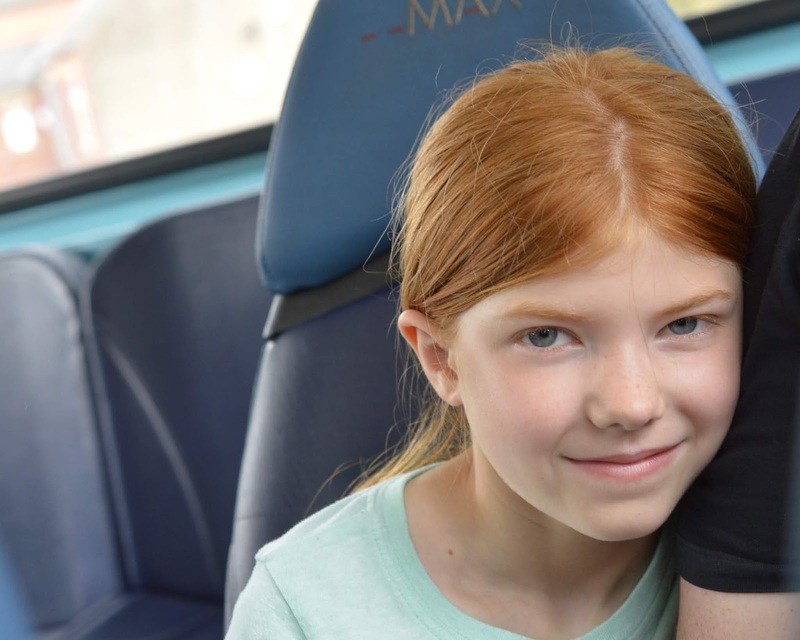 There are a variety of tickets available to buy but we nearly always go with the family day ticket which is currently £13.50 for unlimited travel with Arriva across North East England for up to 2 adults and 3 children travelling together. I normally buy my ticket from the bus driver but this time we decided to try out the Arriva ticket app and it worked really well. I am terrible for never having any cash on me and also for losing bus tickets so I think I'll probably use the app for every journey I take now moving forward. You simply activate your ticket when needed and then show the driver as you board the bus. You can use any of the X18 buses to travel along the route described below but there's also a new sightseeing tour available on certain buses (buses highlighted in orange on this timetable are fitted with the sightseeing tour). The sightseeing tour is available at no extra cost. These buses are a region-first and will provide guided commentary to passengers between Amble and Berwick. We tried to access this tour on its debut weekend and unfortunately, a technical error meant that the sightseeing tours weren't running that day (teething problems) but I've been assured that they are up to speed now and the service is running smoothly and receiving fantastic feedback from customers. 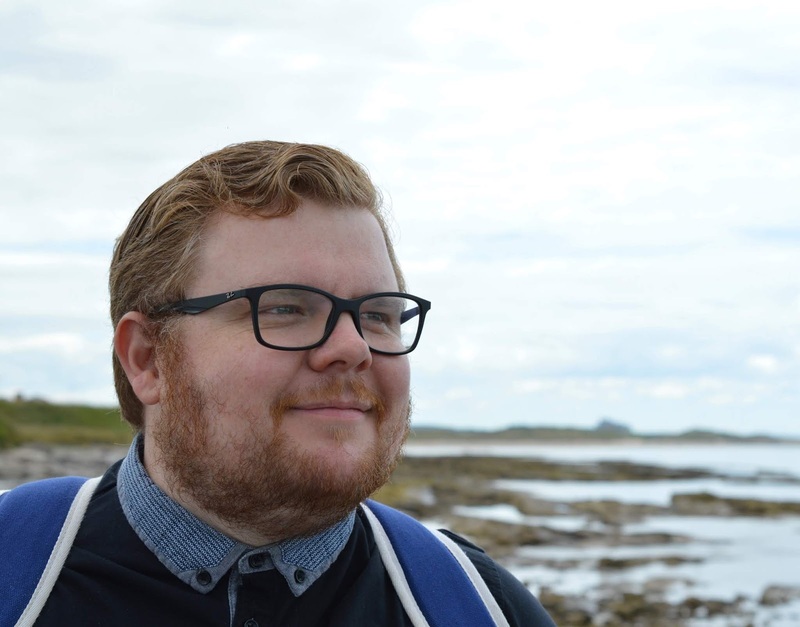 The Northumberland coast stretches for miles and I was happy to just sit back and take in the scenery if I'm honest but I also think guided commentary will really add to the journey and is great asset to the service. 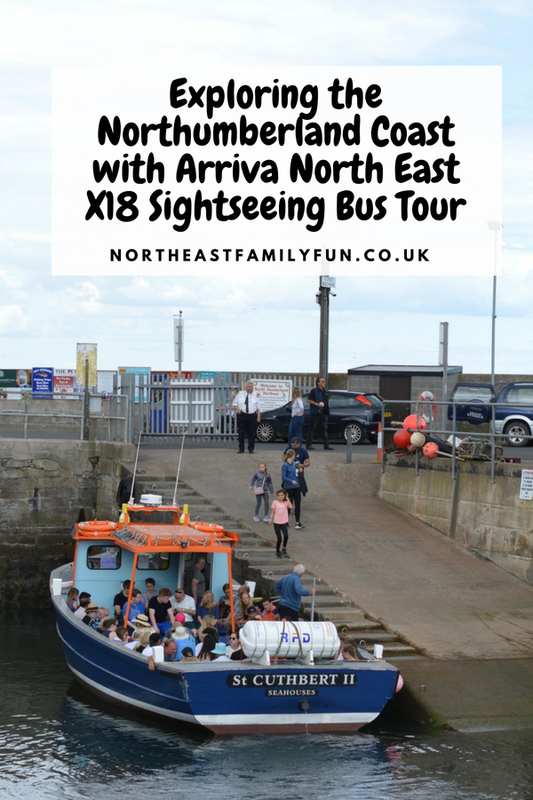 You can catch the X18 from Newcastle, Regent Centre or Morpeth (as well as a few stops in between - see timetable for details) but as we live in Northumberland it was most convenient for us to begin our day exploring the Northumberland coast in Amble. You can hop on and off the bus at any of the bus stops along the route and there's info available online, via the app or at bus stops letting you know when the next bus will depart. 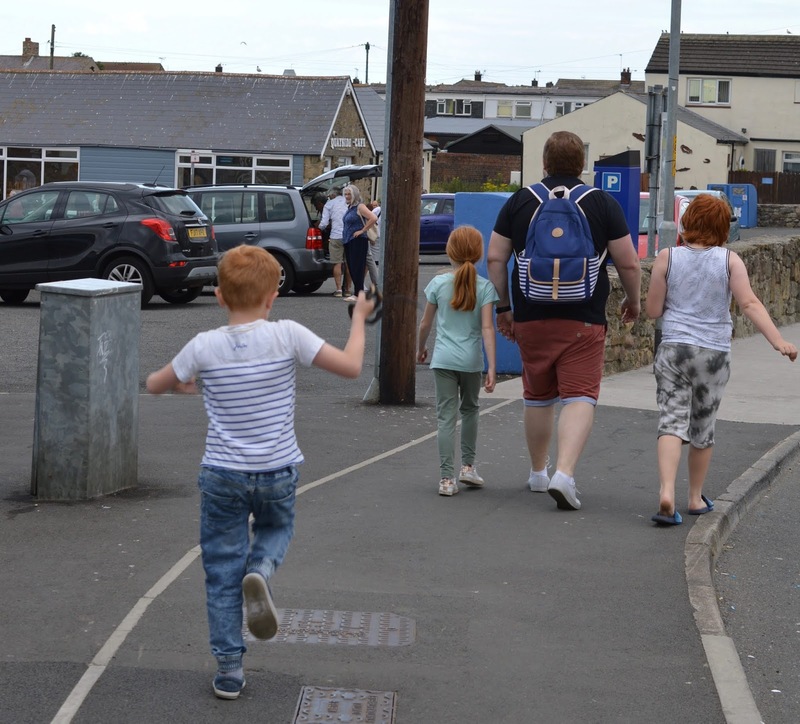 We LOVE Amble and it is where we hope to retire one day (yes we do plan that far ahead). You definitely need to hop off the bus here and explore a little. This was our first Sunday morning visit and we were SO impressed with the Sunday morning market which takes over the harbour. It's HUGE and sells everything from seafood, meat and fruit and veg to hog roasts, kids toys, pet bedding, clothing and lots of random stuff too - new showerhead anyone? It's a fantastic place for a potter and a browse. 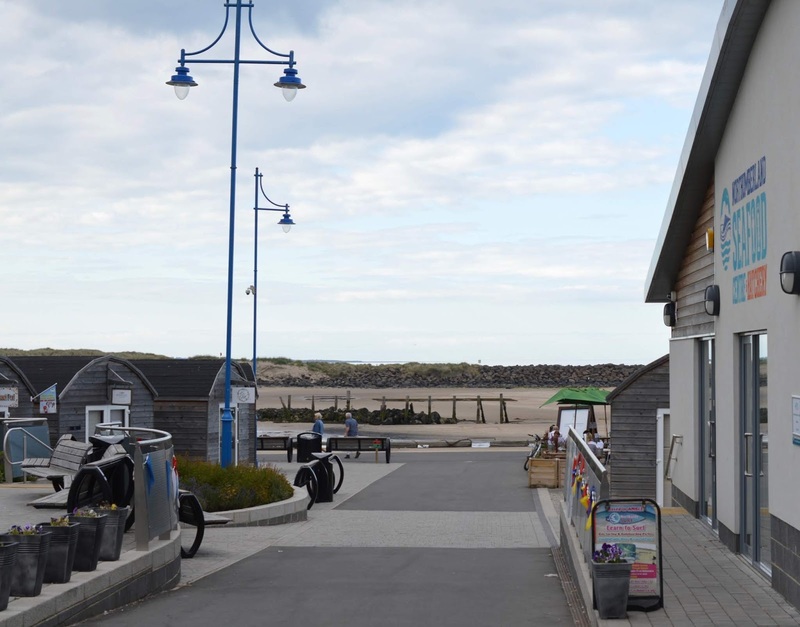 There's also the ever-lovely Amble Harbour Village Pods which are little wigwams packed with independent North East retailers. 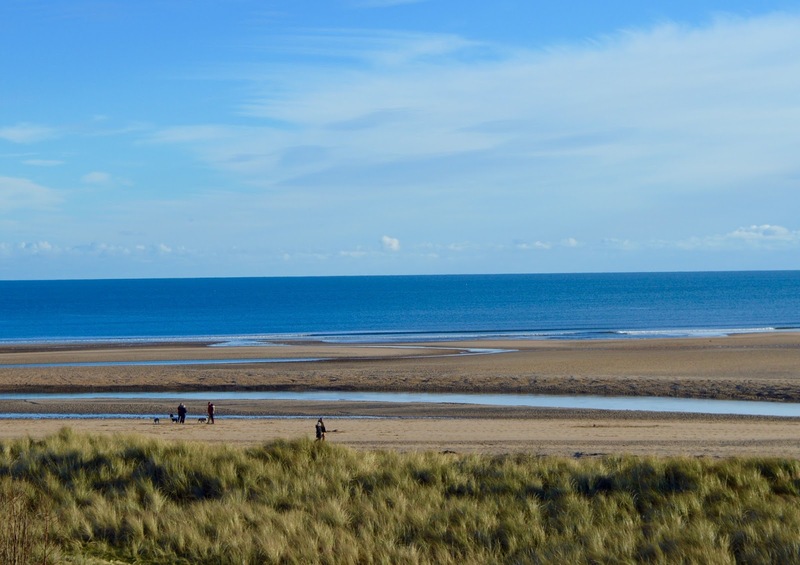 Shopping paradise and the estuary and sea views along to Warkworth Castle are simply stunning! You can take a puffin cruise out to Coquet Island which judging by the queue, seemed to be very popular, enjoy ice cream from Spurelli's or even book afternoon tea in a caravan. There is always SO much going on in Amble. 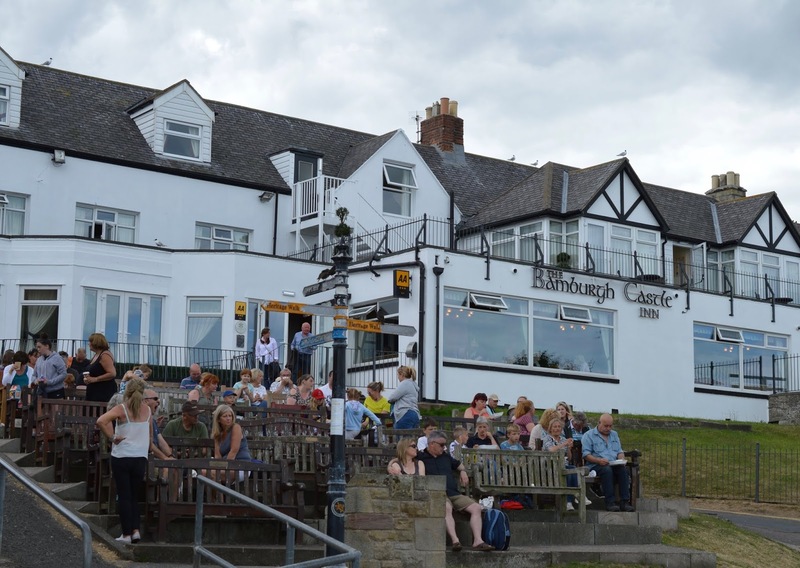 Alnmouth is one of Northumberland's most picturesque villages with a gorgeous beach that goes on for miles, quirky tearooms and even a haunted pub. You may remember we stayed in a luxury apartment here earlier this year and had the best time. 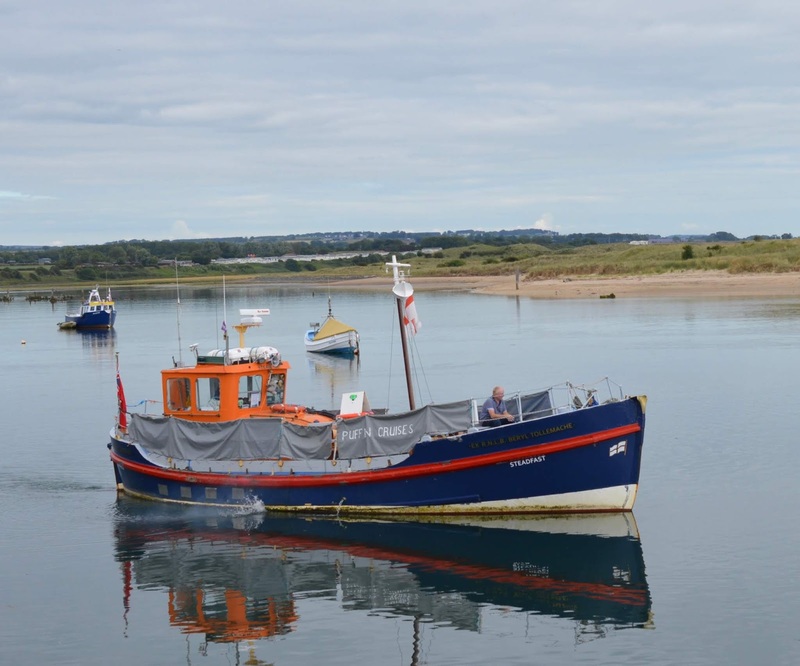 Check out my guide to visiting Alnmouth here. 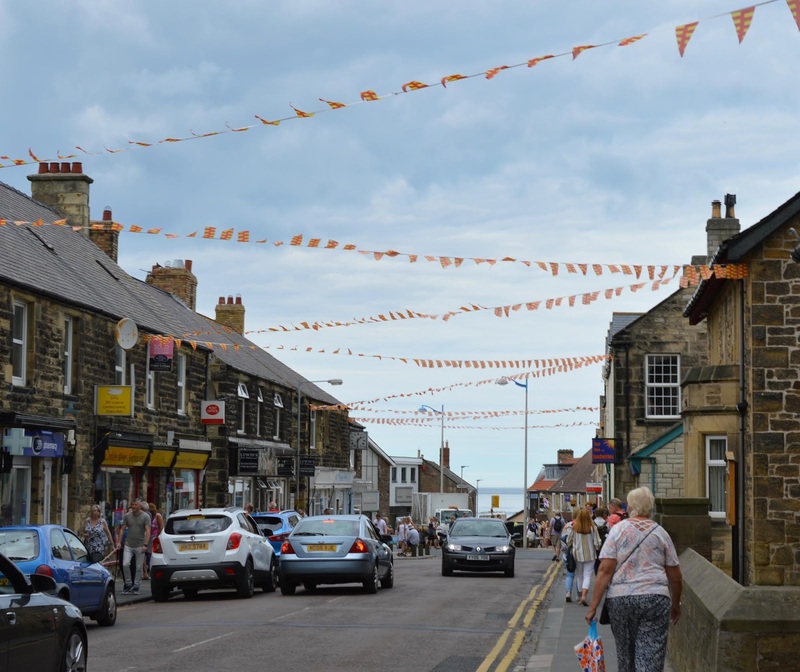 Alnwick is a bustling market town and there is loads to see and do here. There were some American tourists on board who jumped off at this stop and were very eager to visit Hogwarts (aka Alnwick Castle) and partake in some broomstick lessons. The bus stops right outside of Barter Books which is a wonderful second-hand bookshop and also in the town centre where you can easily access Alnwick Castle and Gardens. 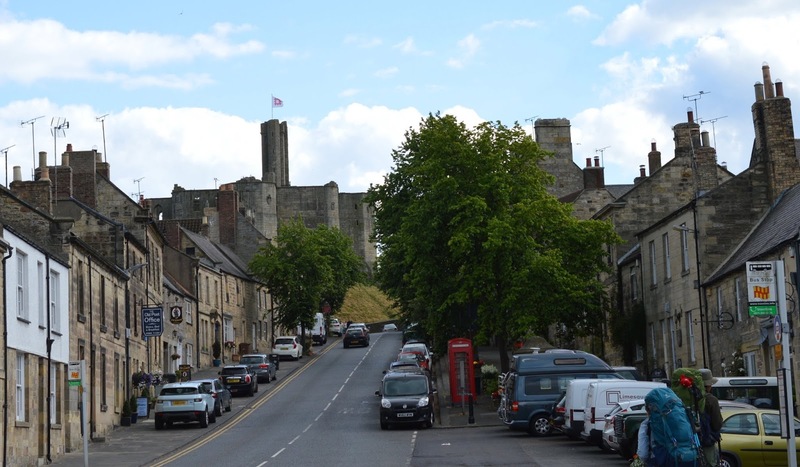 Check out my guide to vsiting Alnwick here. Craster is a unique spot along the Northumberland coast with a charm all of its own and I LOVE it. 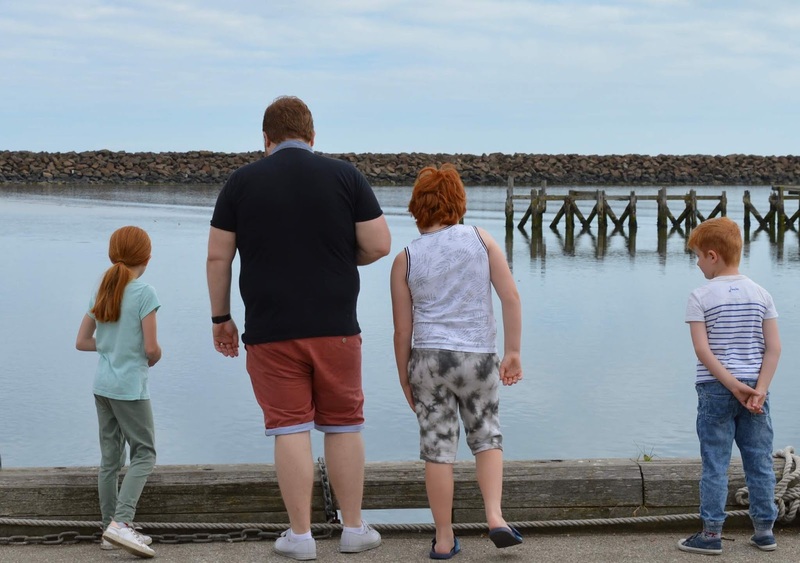 It's a teeny tiny village with a beautiful pub (The Jolly Fisherman), a fabulous smokehouse (K&L fisheries), a little cafe and play park for kids. That's pretty much it but the main draw is the absolutely stunning coastline here. It's a prime location for wildlife spotting and we've been lucky enough to spot both wild dolphins and seals here. 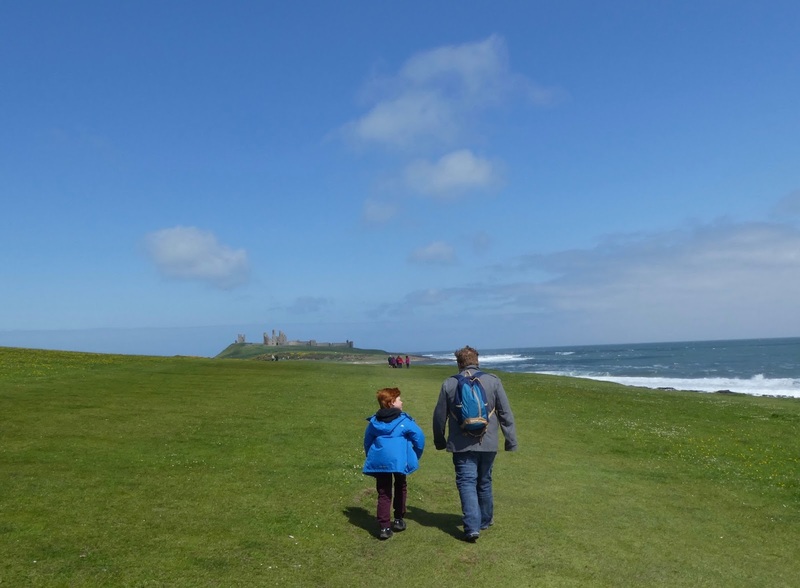 The walk to Dunstanburgh Castle is wonderful and perfect for kids with lots of opportunities to go rock pooling and search for seaglass and shells along the way. Despite staying in Embleton over Christmas last year (the X18 passes right by North Farm Cottages), it's an area I haven't really explored too much if I'm honest. It's a small place but home to a couple of nice pubs and restaurants, a play park for kids and again glorious beaches (a bit of a walk but manageable). It's somewhere I'm keen to explore more of but we'll save that for another day. Beadnell was a popular recommendation from people following our journey and we were so tempted to jump off the bus at The Craster Arms. 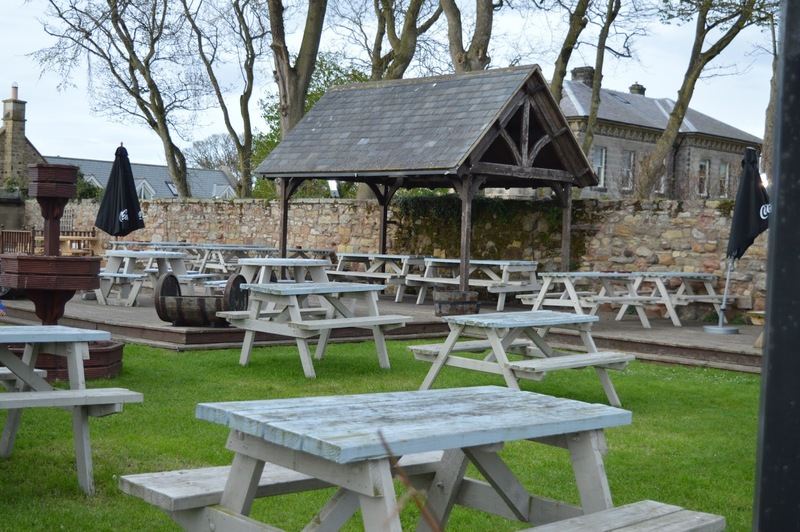 The X18 stops right outside of this pub's beer garden which is definitely worth a visit. Lots of people recommended the beach here as being perfect for kids and I spotted a few little ones heading down with their fishing nets. 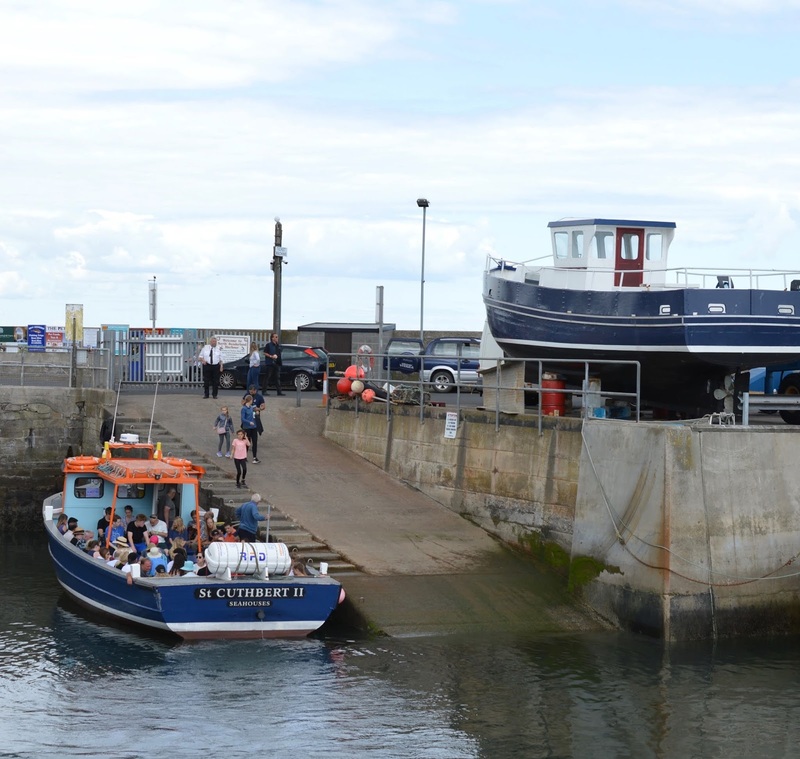 We had heard a rumour that dolphins had been spotted along the coastline at Seahouses that very day so we decided to stay put on this occasion and alight at Seahouses. 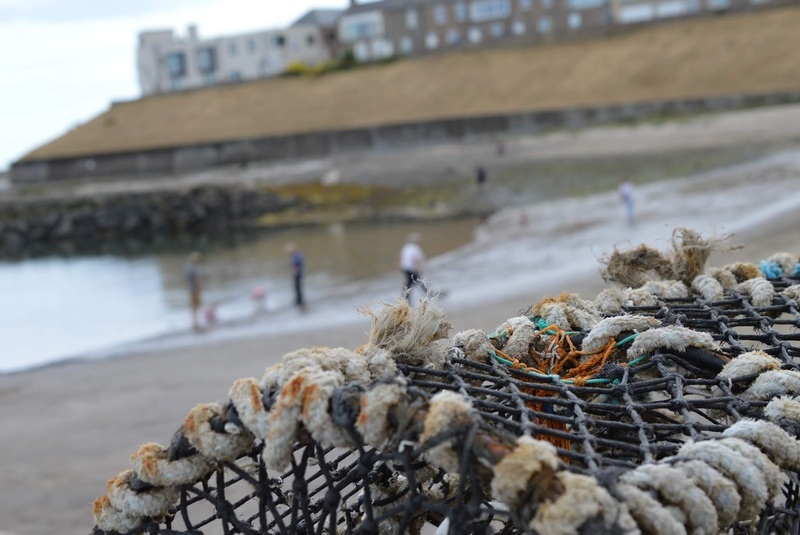 We will be back to explore more of Beadnell soon. Seahouses is one of those places that you either love or hate. It is a little bit more commercialised than some of the other spots along the route. With its tacky gift shops, amusement arcades and fish and chip shops, it very much has the feeling of an old-fashioned seaside town which I personally love. We bought our fish and chips and took them down by the harbour to enjoy overlooking the boats. It's so peaceful here and we watched fishermen, sightseeing boat trips and boats full of divers all sailing past. If you have a little bit of time, I highly recommend booking onto a sightseeing boat trip to the Farne Islands with Serenity. You can book in advance online or on the day from the kiosk by the harbour if they're not sold out. Depending on the time of year you can spot puffins, seals, dolphins and lots of different types of wildlife. I'd definitely recommend and our trip last year was something we still talk about now. 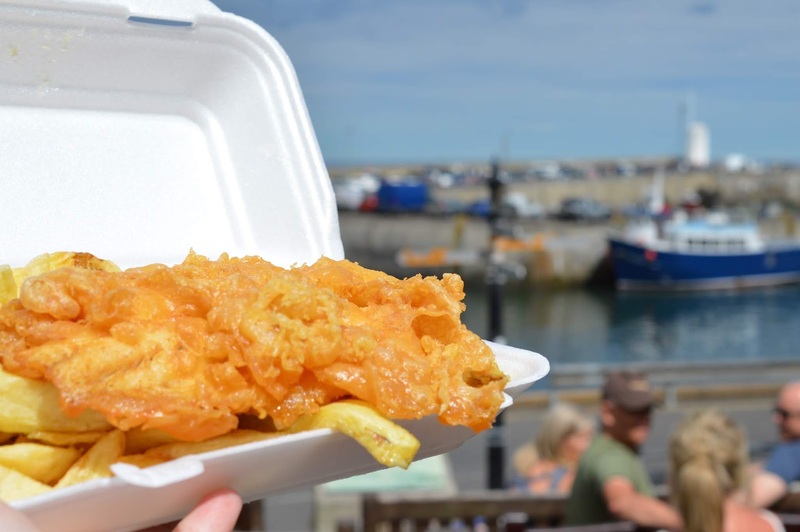 Fish and Chips ALWAYS taste better by the sea! There's a small beach where children can play here, a pier to walk along and gorgeous views out to Bamburgh Castle and the Farne Islands. We didn't spot any dolphins this time, but there's always that excitement that you might. The kids spent their pocket money in the arcades (and on slime from the gift shop - they are obsessed!) and after a couple of hours, it was time to climb back aboard the X18 and head to our next destination. The X18 route goes on to Bamburgh (I recommend you visit the Castle if you can), Budle Bay, Belford, Beal, Haggerston Castle and Berwick but as time was getting on, we decided to head back South. Our final destination of the day was Warkworth. We've visited Warkworth Castle so many times before (it's one of our favourites) but never seem to get beyond the castle walls. Today seemed like the perfect excuse to explore more of the town. 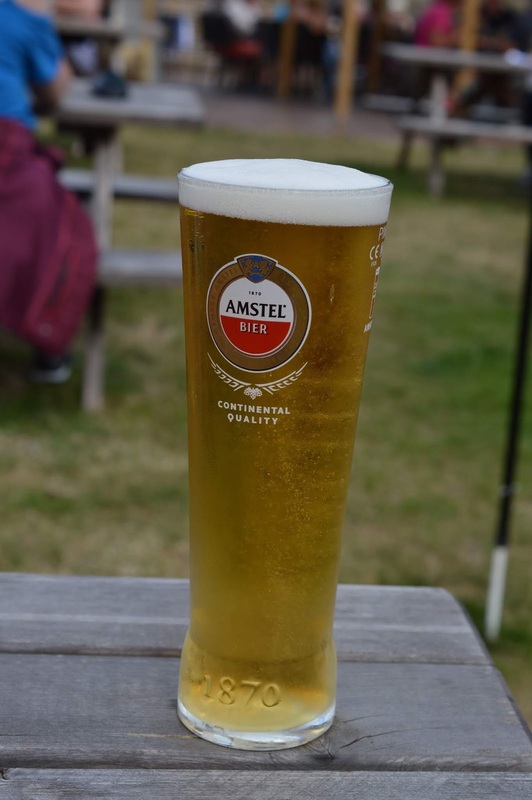 I asked over on my Instagram Stories where the best Beer Gardens were and everyone said we should visit The Mason's Arms. Another benefit of leaving the car at home is you can indulge in a couple of beers and there was no better way to spend a sunny Sunday evening after a day exploring. We caught an evening bus back to Amble. I was delighted to see that the last X18 bus from Warkworth heading all the way to Newcastle was at 21:38 (always check the timetable as services can change) which leaves plenty of time to explore in the evening too. In all honesty, one day is not nearly enough time to explore the beautiful Northumberland Coast but for £13.50 for a family of 5, I think we gave it a pretty good go. I think it would be extra special if we'd been able to listen to the guided commentary on board one of the sightseeing buses and I'd definitely recommend trying to catch one of these if you can. I hope you've enjoyed my guide to visiting the Northumberland Coast with Arriva North East. I have honestly been inspired to leave the car at home more often as our day was nice and chilled with no stress of having to find a car parking spot which can be super difficult along the coast in the summer holidays. Let me know if I've inspired you to visit the Northumberland Coast by bus this summer. 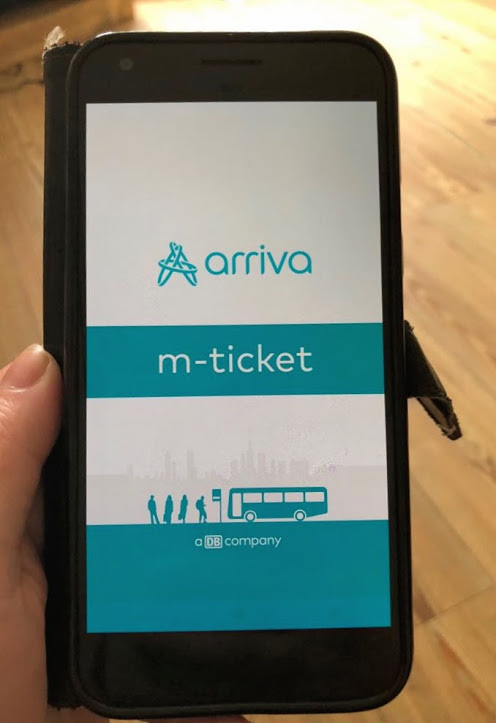 What a lovely idea, I didn't know Arriva did mobile tickets, so thats cool! Next time you visit Amble you should try The Sand Bar Cafe. Lovely food and the interior looks amazing! I can't believe I haven't eaten at The Fish Shack yet, I'll have to tick it off my bucket list this summer for sure. Looks like a very fun experience! The Fish Shack is a dream come true for seafood lovers! Really enjoyed this post. You get such a great view from the upstairs seats, right at the front! This is such a great idea- total bargain for a family and a really fun way to explore. I love that they are going to have commentary on some times as well. Such a fantastic idea, we were without a car for a fair few years and relied heavily on public transport - it's so good that people can get all the way out to the Northumberland by bus and having commentary sounds brilliant!